Held under the Patronage of the Prime Minister and Minister of Interior, HE Sheikh Abdullah bin Nasser bin Khalifa Al Thani, Milestones Auction Supporting Education Above All (EAA) held today (February 25) at Doha Jewellery and Watches Exhibition 2018, a charity auction with signature pieces designed by the participating Young Qatari Designers. The charity auction sold a total of 1,990,000 QAR for Education Above All, a global movement that contributes to human, social and economic development through the provision of quality education. The Young Qatari Designers initiative, launched last year as part of QTA’s efforts to support local talent, is one of Doha Jewellery and Watches Exhibition’s key pillars to support and develop young creative talent. Providing a global platform to showcase their unique and exclusive designs, DJWE also offers an opportunity to compete with leading local and international brands. Visitors are encouraged to marvel at the Young Qatar Designers collections on display at year’s 15th edition of DJWE before the event ends today (February 26). The charity auction was attended by several VIPs, bidding on the exclusive signature pieces designed by Nada Al Sulaiti (Hairaat); Nouf Al Meer (Nouf Jewellery); Ghada Al Buainain; Leila Abu Issa (Leila Issam Fine Jewellery); Shikha Mohamed (Al Ghla Jewellery); and Jawaher & Hissa Mohammed Al Mannai (Ghand Jewellery). Qatar piece by Young Qatari Designer, Nouf Al Meer, sold for the highest bid at the charity auction for 400,000 QAR. 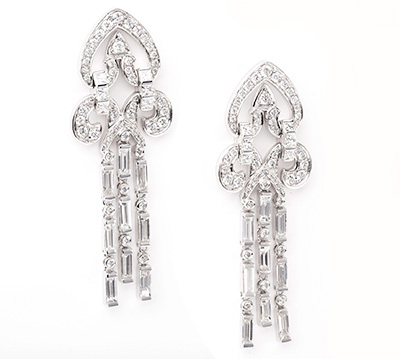 Ghand Jewellery’s “Mihrab”, a pair of diamond and white gold earrings, sold for 180,000 QAR, with AlGhla Jewellery’s “Tiara”, set in yellow gold with the outline of the State of Qatar in mother of pearl, sold for 300,000 QAR. 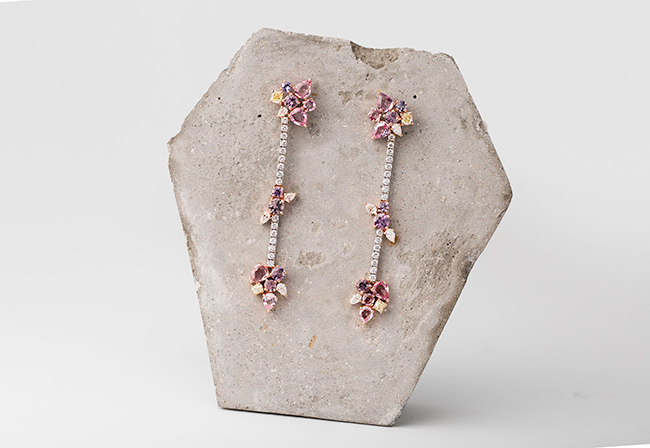 Leila Issam Fine Jewellery’s “Ombres”, a pair of white gold diamond and pink sapphire earrings, sold for 240,000 QR, Hairaat’s “Sleeping Beauty” sold for 300,000 QR, and Ghada Al Buainain Jewellery’s “Pipe in Gold” sold for 130,000 QAR. Another auction also occurred; Chopard sold four special editions wristwatches along with two gold bangles for 440,000 QAR to support “Educate a Child”, a programme run by Education Above (EAA). Over the past five days, Doha Jewellery and Watches Exhibition 2018 has hosted many new events and activities for all visitors to enjoy and participate, in addition to hosting daily industry talks, jewellery and watches workshops, as well as free consultation and valuations by Artcurial, the iconic French Auction House. As one of the fastest growing events on the global luxury events calendar, DJWE has once again cemented its position as a key industry player, bolstering its programme of activities for both exhibitors and visitors to enjoy. Brought by Qatar Tourism Authority (QTA) and delivered by Auditoire, the six-day event is featuring more than 490 brands from over 10 countries bringing an extensive display of classic and contemporary luxury collections by internationally-recognised brands and designers.